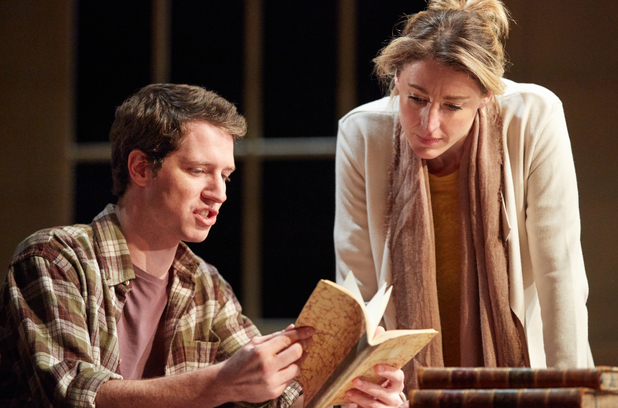 ‘Arcadia’ by Tom Stoppard is billed as a comedy, and there are certainly some very funny lines, but it’s also a drama that’s about as serious as it gets. It helps to have a reasonable understanding of the implications of chaos theory and the second law of thermodynamics, not to mention garden design history, the life of Byron and mathematical iteration. I’m not a specialist in any of those, so it’s a challenging play that makes you think a lot. The structure of the play is well worked, going back and forth between scenes in the early nineteenth century and the late twentieth century, interweaving the past and the present in a way that reminded me strongly of ‘Possession’ by A.S. Byatt, one of my favourite books. Since ‘Possession’ appeared in 1990 and this play in 1993, it’s hard to believe that Stoppard wasn’t influenced by the novel. Like Byatt he throws in a fair bit of satire on modern academics, but he has larger scientific themes as well. Thomasina, a girl in the 19th century, presumed to be talking before the second law of thermodynamics had been formulated, illustrates the principle by discussing how jam can be stirred into a rice pudding, but can’t then be unstirred. Meanwhile the 20th century academics, trying to recreate what happened in the past, seem engaged in trying (unsuccessfully) to put the rice pudding back together. 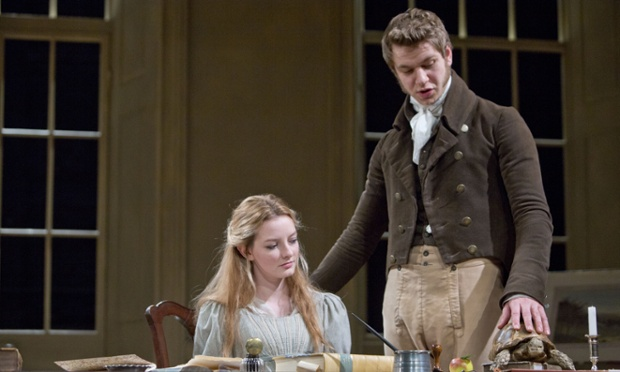 We saw the play in Bath in a production by the English Touring Theatre. It worked well enough, and gave us a very stimulating night in the theatre, but I wasn’t entirely convinced by some of the acting and particularly the delivery of some of the lines. When you’ve got lines to deliver that can be difficult to understand, the director and the actors need to help the audience by varying the pace, the emphasis, the timing, the gestures, to bring out as much meaning as possible. This is what the RSC is often superb at doing. They take words written 400 years ago and bring out the meaning, or often bring out new meaning, by the way they deliver the lines, so that it sounds much more up to date. Here we had up to date words, that were at times made to sound as if they were written 400 years ago, so little did the delivery aid understanding. Having said that, there were some good performances, and I thought one of the best came from Ed MacArthur, playing Valentine Coverley in his professional stage debut. His conversations with Flora Montgomery as Hannah Jarvis, worked well, but I was less convinced by Wilf Scolding’s portrayal of Septimus Hodge. We had to imagine he was not only a tutor coping with the tricky questions of a precocious student, but also a friend of Byron’s and a habitual seducer as well, which for me required too much suspension of disbelief. 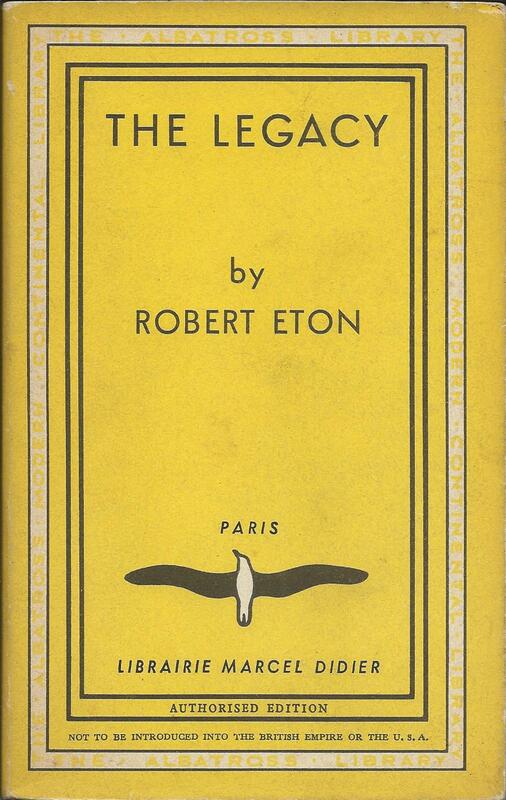 He threw his lines off too glibly as though he was Oscar Wilde delivering aphorisms, and it was difficult to take his relationship with Ezra Chater at all seriously. I suppose we’re not meant to do so, if Chater is just a comic character, but that requires a tricky balance between the serious and the comic to pull off, and for me it just didn’t work. The first Tauchnitz – an early example of vapourware? 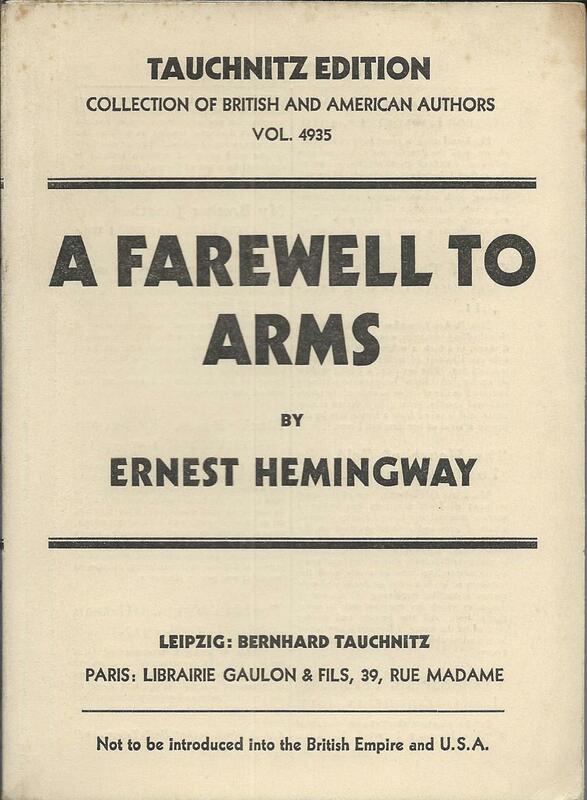 The Tauchnitz ‘Collection of British Authors’ series eventually ran to 5370 volumes, published over a period of just about 100 years, but the very first book, volume No. 1, was ‘Pelham’ by Bulwer Lytton. Publication was announced in September 1841, but when did the book first appear? 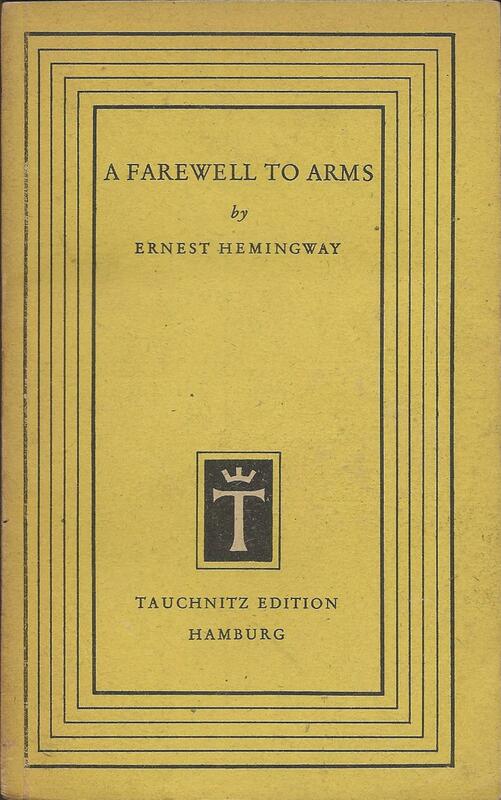 Tauchnitz had the habit of showing the year of first publication on the title page of their books and leaving this unaltered even on reprints many years later. 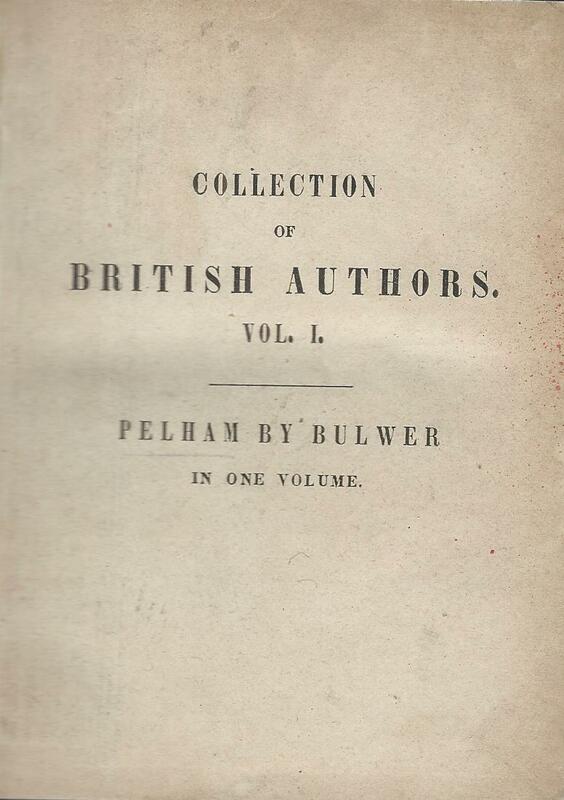 All known copies of ‘Pelham’ are dated 1842. However publication was announced in the trade press in September 1841, in the list of ‘new books … arrived in Leipzig between 19 September and 25 September’. There was a further announcement on 2 November 1841 for ‘books received 24-30 October’. As it’s known the book was quickly re-set, this might even refer to the second edition, well before the end of 1841. Which would leave it a bit of a mystery as to why the book should be dated 1842. Karl Pressler, who made a particular study of the early editions of Tauchnitz Books, suggested that it might be because the early volumes were sent to booksellers on approval and only entered into the firm’s accounts for 1842, when firm orders were confirmed. He also points out that it was (and is) not unusual for books issued towards the end of year to carry the following year’s date. But why would the accounting records dictate the year on the title page? Why would a book selling so quickly that it had to be reprinted within a couple of months, not be entered into the accounts for four months anyway? Why would Tauchnitz use the following year’s date on this one occasion, when it doesn’t seem to have been their practice in other years, even for books published in December, never mind September? 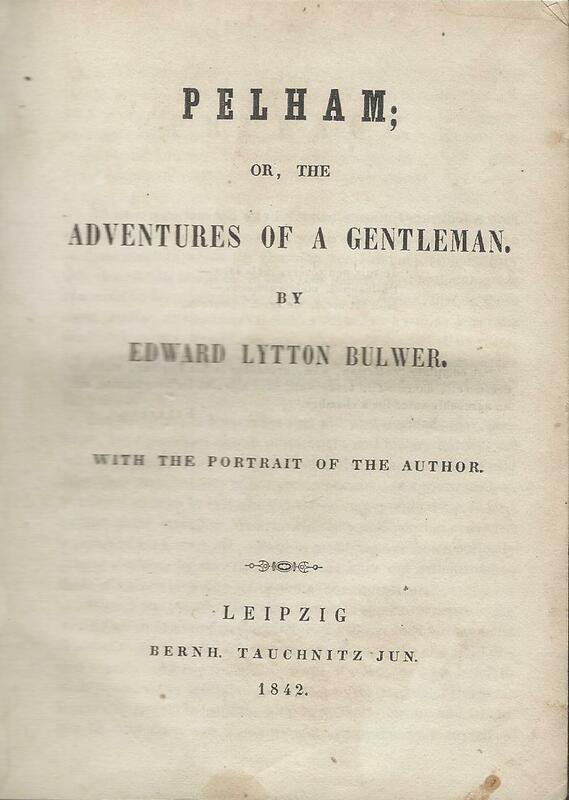 Could there actually be a first printing dated 1841, as yet undiscovered? It certainly seems possible that no copies of the very earliest printing have survived, given that the books were originally issued in paperback and the print run was probably quite limited. But for a copy to be dated 1841 would go against the otherwise consistent practice of retaining the date of first publication on the title page for subsequent reprints. It would be very odd indeed to keep the original date on all other books but to use a year after the original date for all reprints of volume 1. So is the alternative conclusion that 1842 is in fact the true first publication date, and the earlier announcements were anticipating publication? Companies nowadays often announce the release of new products many months before they actually appear in the shops – known in the consumer electronics industry as ‘vapourware’. Was Tauchnitz an early adopter of this practice? My best guess is that they were and that the book was never actually issued until the start of 1842, or at least very late 1841. Certainly a second edition followed very quickly, as two versions with a different number of pages exist, each in the format used only in the early years of the series, where there is no reference to the edition being ‘sanctioned’ by the author or subject to copyright. The assumed first printing has 34 pages of preliminaries, followed by 477 pages of text. All other printings, right through to the 1890s have the preliminaries extended to 36 pages by the addition of another preface and the text restricted to 467 pages. 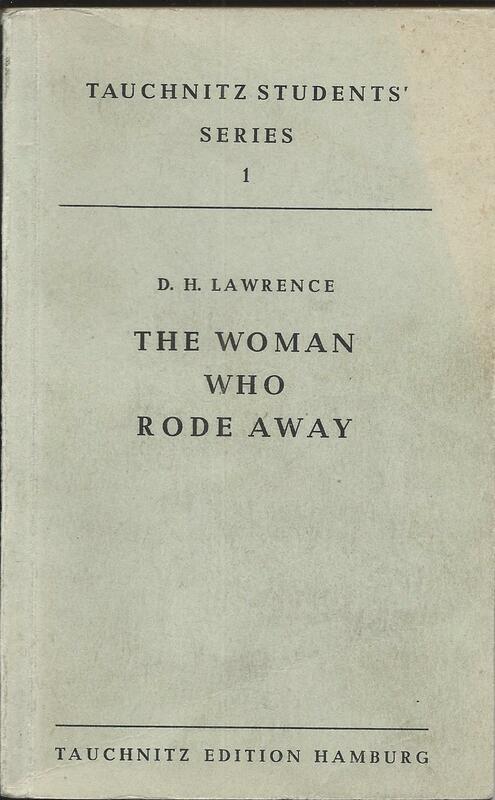 I have a copy of the first setting and there is also a copy in the collection recently acquired by the National Library of Scotland, but almost all other copies in the collections in National libraries and University libraries are reprints, including an early paperback copy in the New York Public Library. 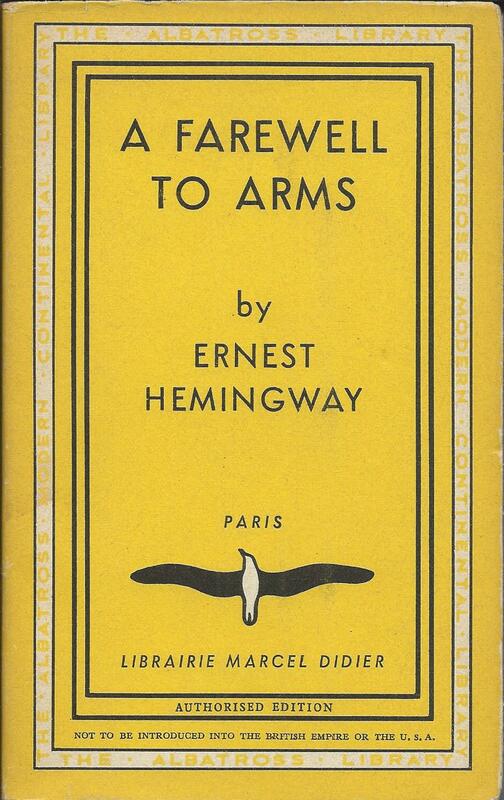 The 1st printing ends on page 477. It’s likely that all copies of the first edition were sold as paperbacks, with the company only starting to offer hard bound editions later in 1842. It was common practice for buyers though to take paperbacks to a bookbinder and have them privately bound, and it’s the bound copies that are more more likely to survive. The New York copy dates from around August 1843 and is the earliest known surviving paperback copy of this book. I have a handful of earlier paperback copies of other books in the series, but they’re certainly not easy to find. 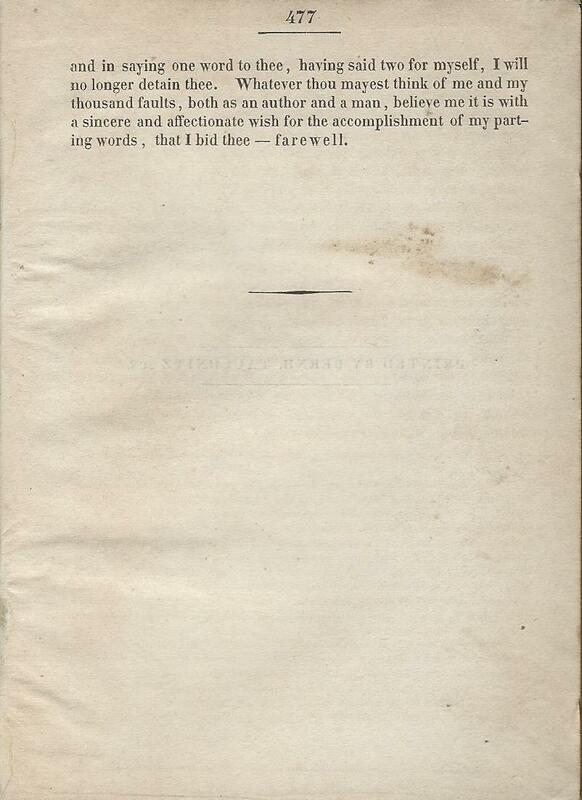 Paperbacks don’t survive well over 170 years. What about the book itself? I haven’t read it yet, and I’m not sure many people have. 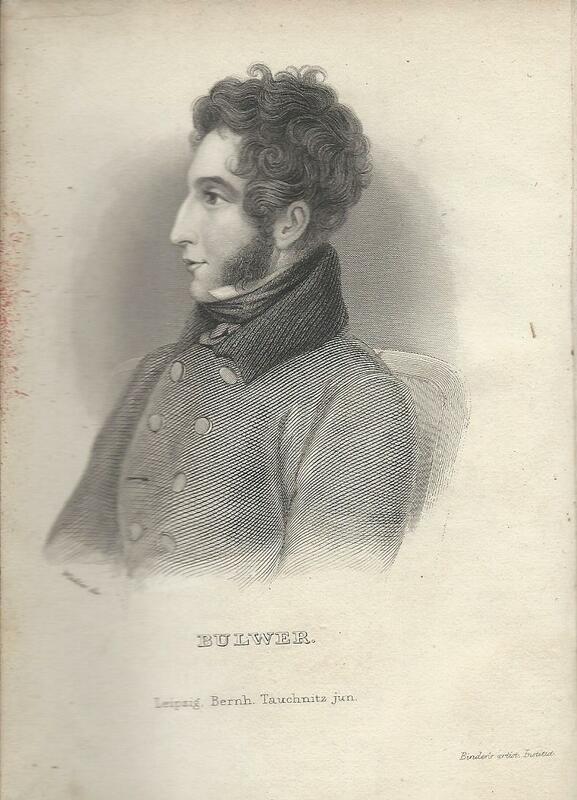 I don’t think anybody much reads Bulwer Lytton these days, although in his time he was an extremely popular writer. 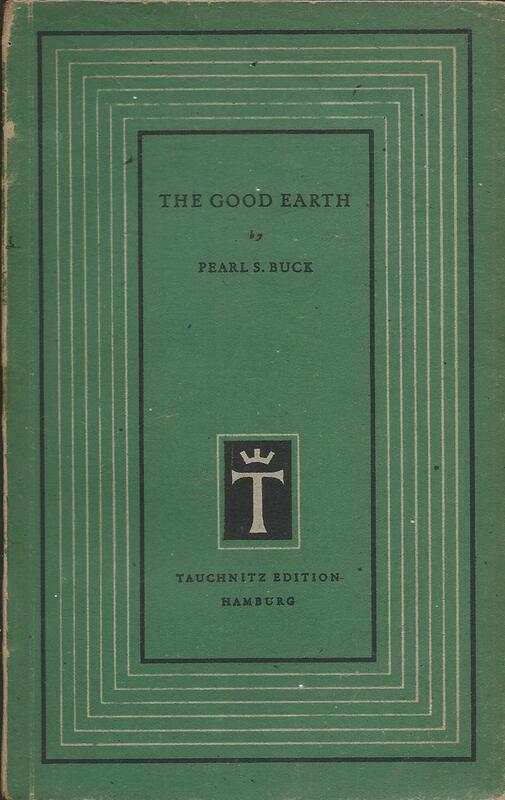 His books account for 12 of the first 25 books in the Tauchnitz series, and other German publishers were also issuing pirated copies of his novels, both in English and in translation. I’ll see if I can get round to reading it soon.